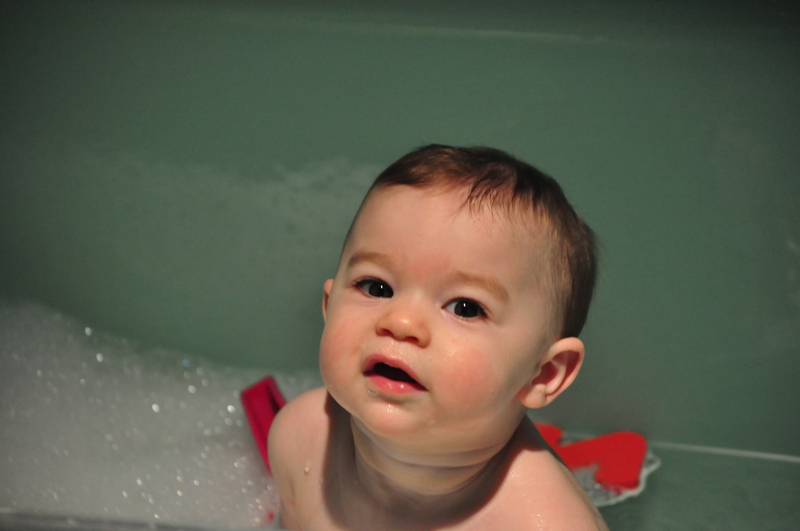 A took her first bubble bath on Friday. I can’t take the cuteness. She’s the only thing that can make this awful bathroom fade into the background! "huh...something's different about this baño Mommy"
"I'm not quite sure what to do..."
"I can pick up the soap...weird!" "I'm so happy! 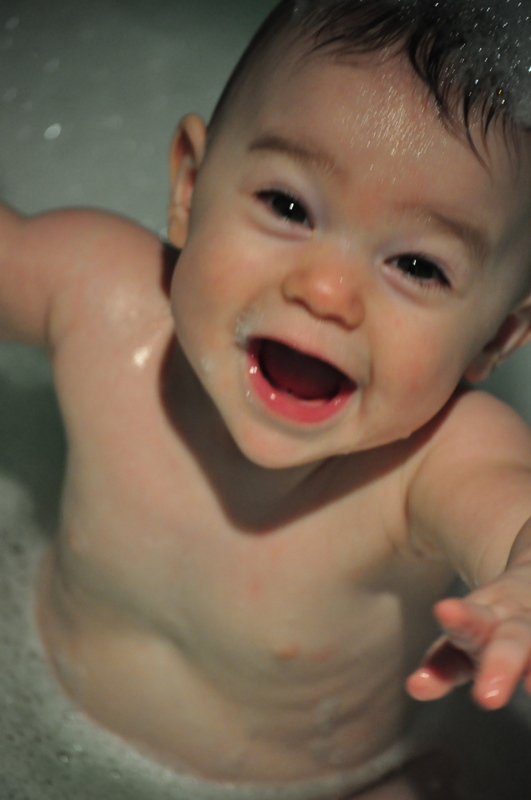 I never want to take a bath without bubbles again!!" 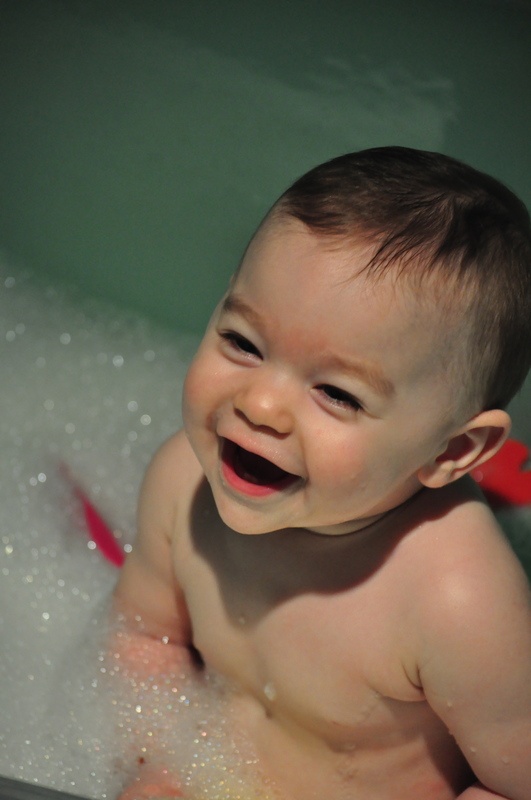 When I’m having a bad day from now on…forget giving myself a bubble bath…I’m giving HER one! That freaking SMILE!!!!! !